As a parent, you may have questions and concerns as your student begins his or her college journey. Just as you are their support, we are yours. We hope to answer all of your questions and provide you with the confidence to know that your student made a great decision to attend Seminole State College of Florida. Having a student enter college doesn't mean your job is over. It simply means your new role has just begun. This change is just as much of a transition for you as it is for your student. To help him or her have the best experience possible, we encourage you to remain involved but also to trust the process. To learn how you can best help, view or download the Steps to Support Your Student. Seeing a child going to college is one of the proudest moments many parents experience, but we know that this also sparks concerns about how you or your student will pay for it. Whether you plan to foot the bill, lend a helping hand or provide guidance, know that your support will make a huge difference. 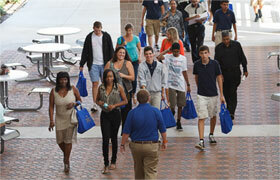 First, be secure in knowing that one of the greatest benefits of Seminole State College is our affordable tuition. It is more than $10,000 less each year than most state universities. Regardless, we understand that it is a major finanical investment. Below are some types of finanical aid to consider when determing the best way to pay for college. Awarded based on various criteria, including GPA, talent, cultural background and educaitonal program. Do not have to be repaid. Awarded by the government based on financial need. Borrowed from the federal government, finanical institutions and other private sources. Must be repaid with interest, usually after graduation. Student loans usually have lower interest rates. Jobs offered through the College's Office of Finanical Aid and Scholarships. The College determines how many hours the student may work based on financial need and class load. Work study jobs may include tutoring other students and performing clerical work. To apply for finanical aid, visit the Office of Finanical Aid and Scholarships website. As the parent of a Seminole State student, you can feel secure that the safety of our students is a priority. All four of our campuses have a public safety office with licensed, uniformed security officers who patrol the campus facilities 24 hours a day, seven days a week. We invite you to review the College's Security Report and Safety Guide to learn more. In the event of an emergency, Seminole State has multiple methods of notifying students, staff and parents. Visit our Seminole State Alert page to determine the way you would like to stay informed. Visit the Safety and Security website for additional information and resources related to campus safety. The Family Educational Rights and Privacy Act of 1974 (FERPA) helps protect the privacy and accuracy of student education records. It provides the right for students to inspect and review their educational records, to seek to amend those records and to limit disclosure of information contained in those records. As a result, parents of students who have reached the age of 18 years or are enrolled in a post-secondary institution no longer have any rights under the provisions of this policy, unless the student gives written consent to release the information to the student's parents, or the parents provide evidence that the student is a dependent as defined in the Internal Revenue Code. FERPA applies to all institutions that receive federal funding, including Seminole State College of Florida. For additional details on your student's rights, view the College's Policies and Procedures. We provide our students with personal attention through small class sizes. We offer great programs that lead to job placement, including six bachelor's degrees. We are the 15th-largest college in the U.S. for associate degrees awarded. We have had 17 students become recipients of the Jack Kent Cooke Undergraduate Transfer Scholarship since 2006, with a national record of four scholars in 2015. We partner with UCF to offer the DirectConnect™ to UCF program, which provides guaranteed entry for Seminole State students who've earned an associate in arts or science degree. Ultimately, it is your student's responsibility to determine where he or she will go to college; however, you as the parent can guide them and play a vital role in helping them make the best decision. Attend a Parent Orientation. No registration required. Parent Orientations are designed to give parents a connection to and knowledge of the Seminole State College and its programs, and to support their involvement and pride in their students' college education. Parent Orientation is offered prior to Spring and Fall Terms only. Dates will be posted when new sessions become available. In the meantime, you may download the Parent Orientation Presentation here. 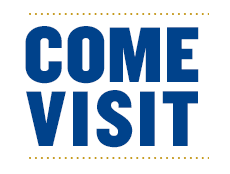 Visit the Parent Orientation page for the current orientation schedule. 8:30 a.m. - 6 p.m. 8:30 a.m. - 6 p.m. 8:30 a.m. - 6 p.m. 8:30 a.m. - 6 p.m.